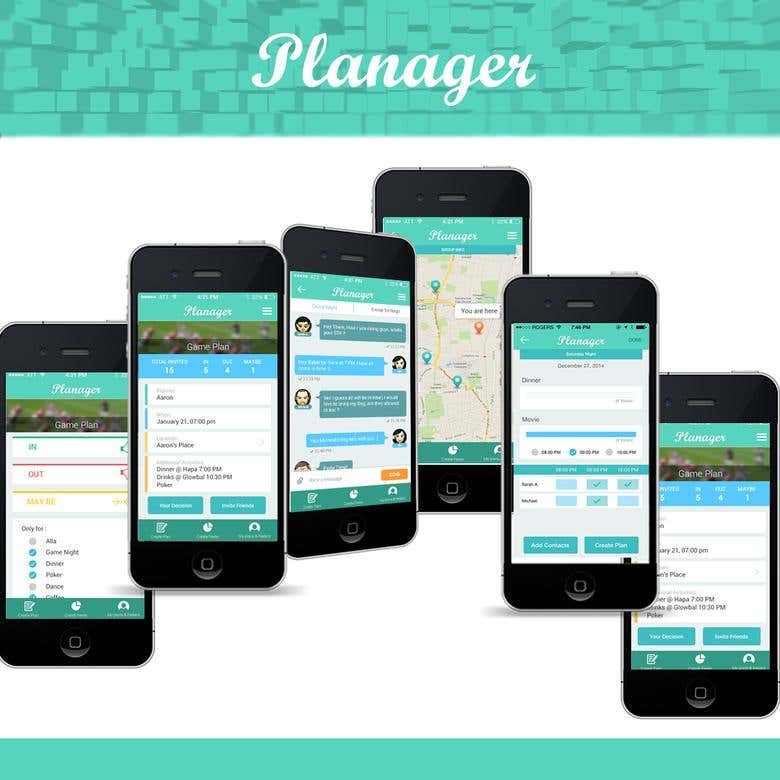 https://play.google.com/store/apps/details?id=com.planagenetworks.planage&hl=en Planager is a free app that lets you quickly organize group activities through your phone whether it be a night out with your date or a large Super Bowl party. With an extensive list of features, Planager lets you create highly customized plans but at the same time keeps the whole process quick, effortless and simple. You select people from your phone contact list and you can also send invitations through email. Each plan has a chat room to keep things fun and creates a space for hashing out all the extra details. In addition to creating plans, you can send out Feelers to feel out what your friends are in the mood for with date and multiple time choices. We are Preferred Freelancer and a 5-Star Rated Developer in FreeLancer with 100% completion rate, Budget and OnTime. We are expert in apps development for iPhone/iPad, Android, and Web in and also expertize in jQuery, HTML5, CSS and designing. We follow a rapid application development framework which reduce 25% of the normal development time. As we have developed over 50 apps for Apple 1. Communication: We are available over 15 hours in a day that's easy to reach even beyond business hours. 2. Project via milestone: Milestones are safe and secure without any problem. Release payments only upon completion of milestones. 3. Confidence: We are top notch professionals able to sign NDA and keep your project private. With Regards, Tushar and Hitesh.